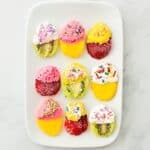 Looking for a cute and easy Easter Treat for the kids? 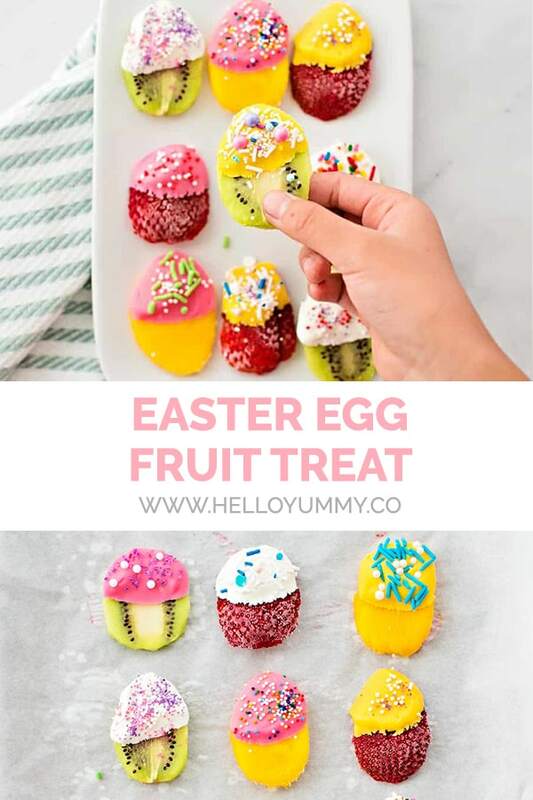 Look no further than these Easter Egg Fruit Treats! 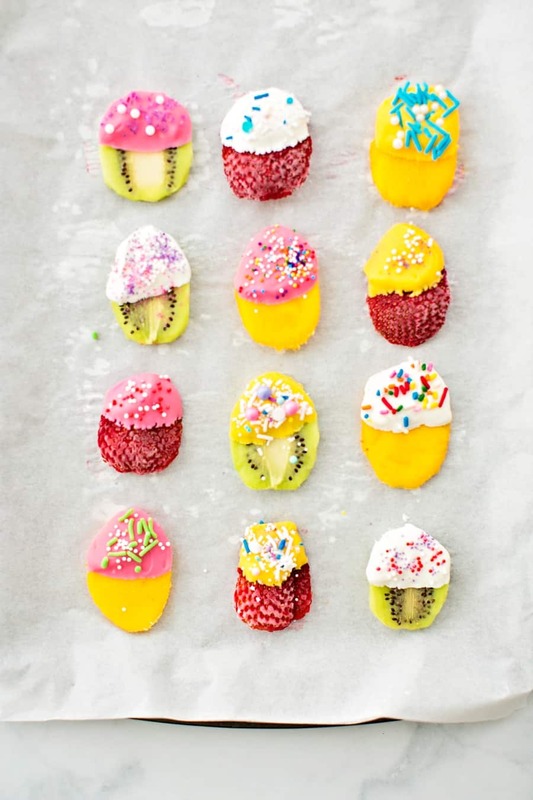 We used candy melts to dip the fruit but you could go healthy with some yogurt instead! We like these frozen so the melts harden right away. 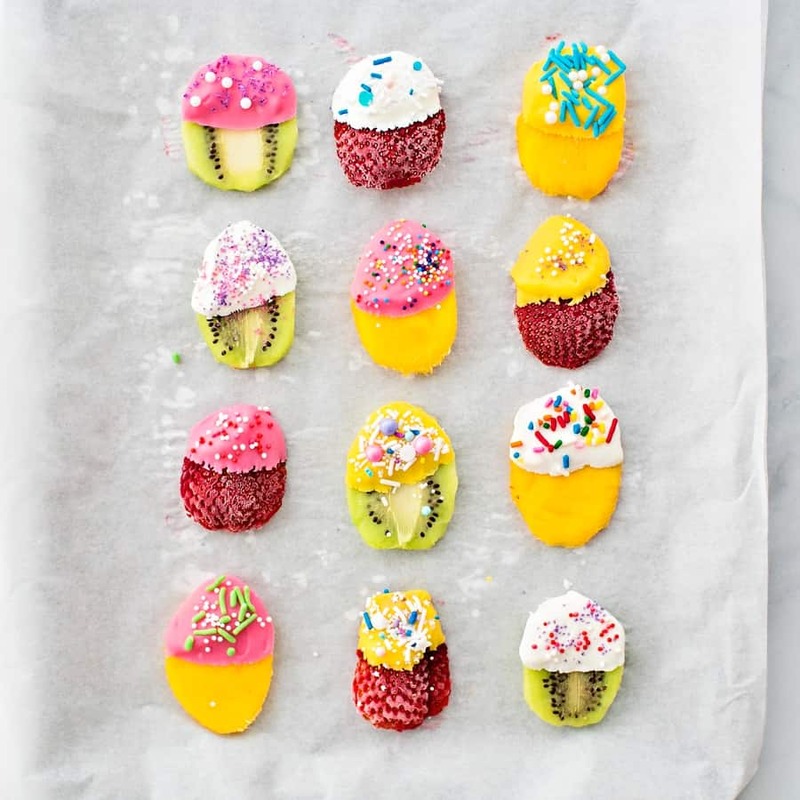 You could easily do the same and have a frozen yogurt fruit treat! We love making frozen yogurt bark this way for an easy yummy snack for kids. 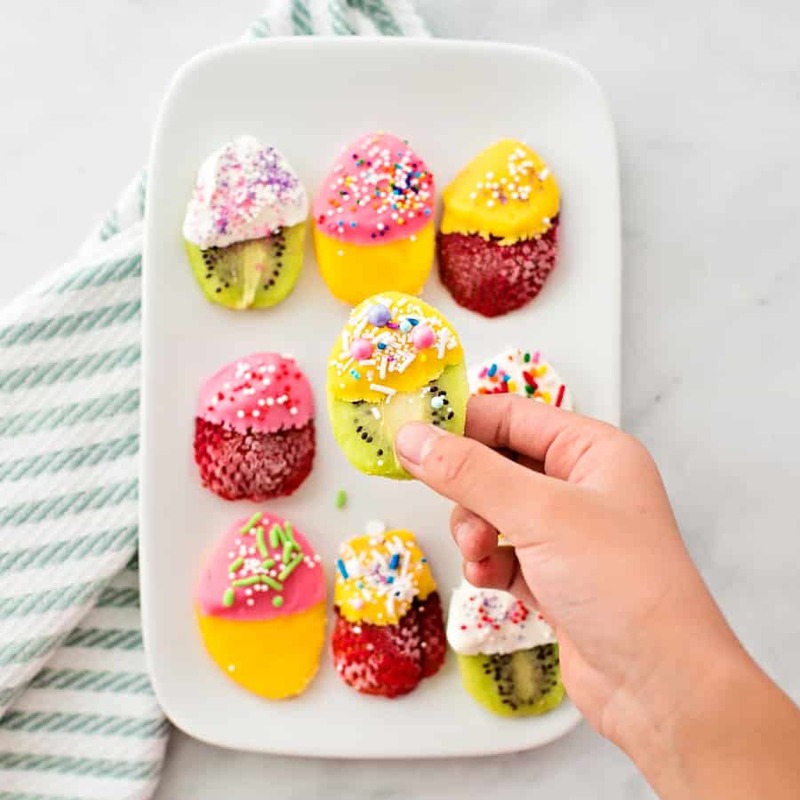 Simply slice your favorite fruits, and use kitchen scissors or a sharp knife to cut around the shape to turn into an oval for an egg shape! Don’t worry about gettin it perfect as you can tell our aren’t perfectly oval egg shapes. 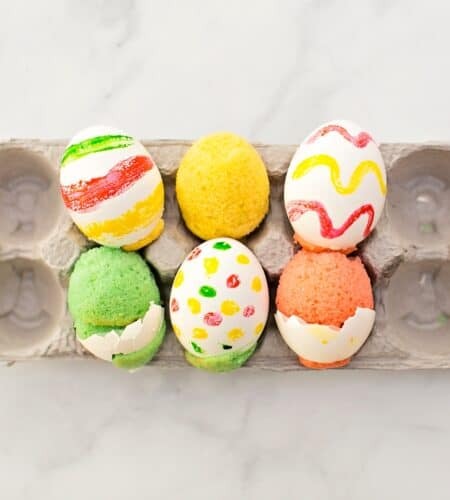 Once you dip and sprinkle they will look more like decorated eggs! 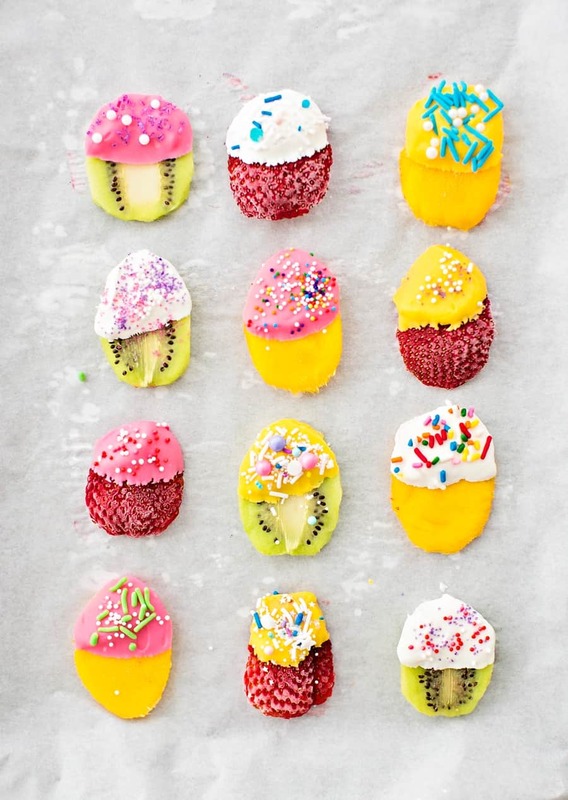 Freezing the fruit makes them easier to handle and dip. We simply laid out the cut fruit on some parchment paper and froze for an hour or until firm. 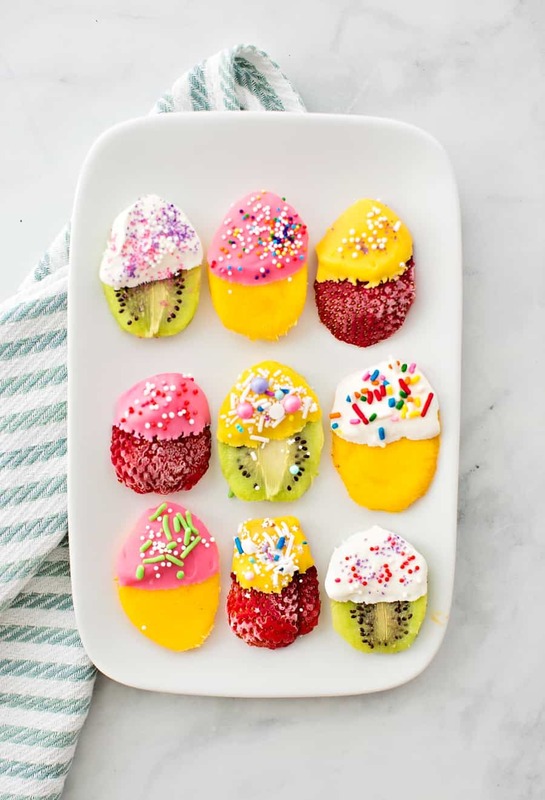 The dipping and sprinkling is fun for kids! Lay out a sprinkle station, small bowls filled with sprinkles and have kids dip and add sprinkles on top. 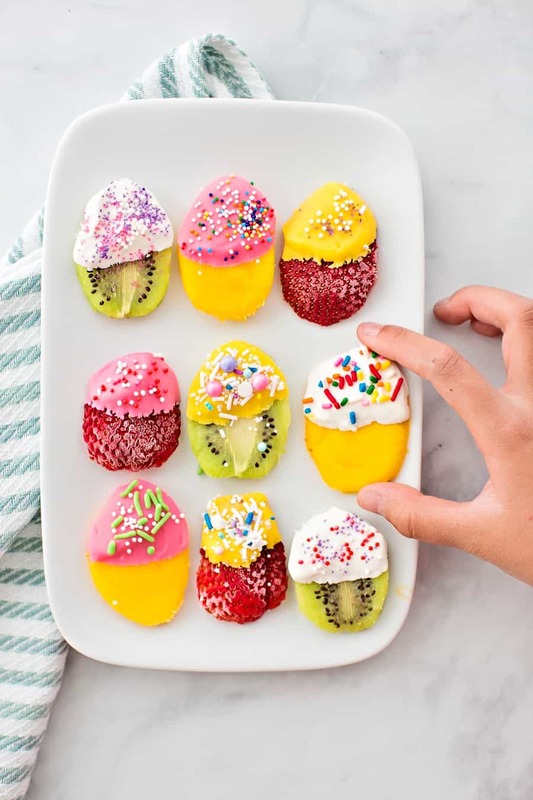 Remember since the fruit is cold, the dip will freeze fast so you have to sprinkle quick before it sets! 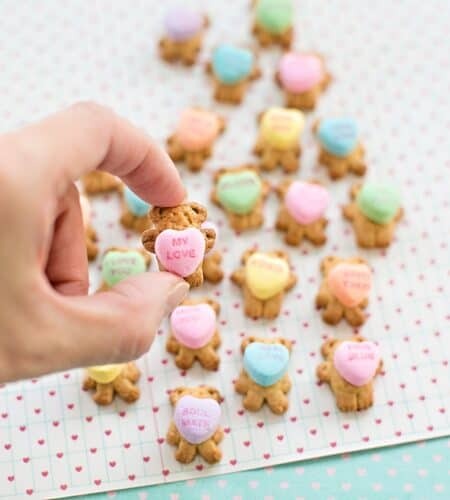 Use melted chocolate, candy melts or yogurt! Add back to the freezer for a quick freeze before consuming. We actually keep them cold this way, my kid love frozen fruit! And they last much longer this way. However you can also just refrigerated for a few days for softer fruit. 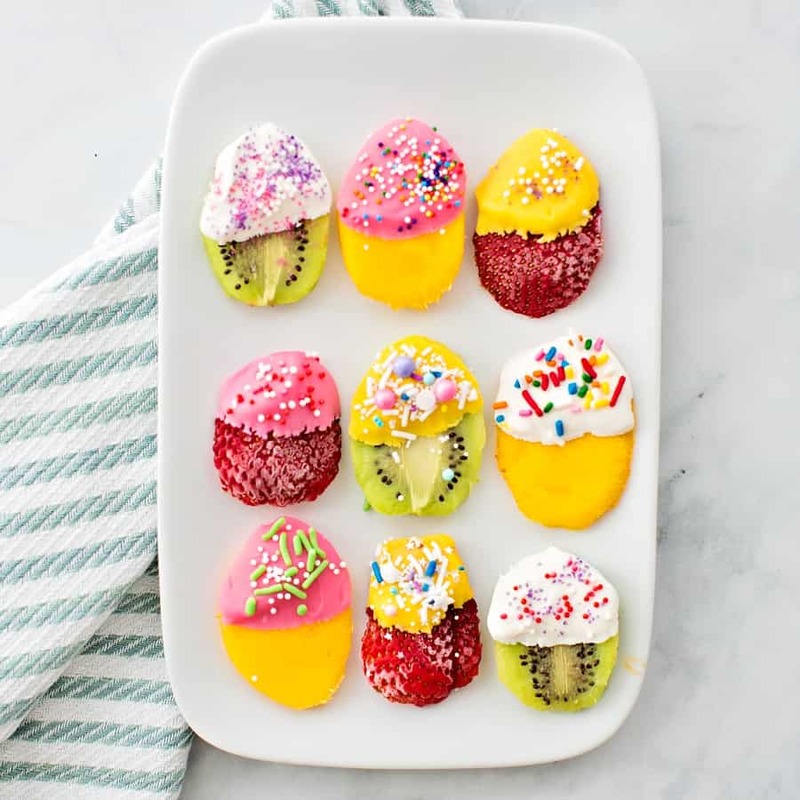 Make this easy healthy Easter Fruit Snack or Treat for kids! 1. Slice your fruit into an oval egg shape. Use kitchen scissors or a sharp knife to trim into an egg shape. 2. Line the fruit on a parchment lined baking tray and freeze until hard, about an hour. 3. Melt your candy melts in 3 separate microwave proof per color, add a teaspoon of vegetable oil per bowl. Microwave one bowl at a time in intervals of 30 seconds, stirring in between until candy melt is smooth and melted. 4. 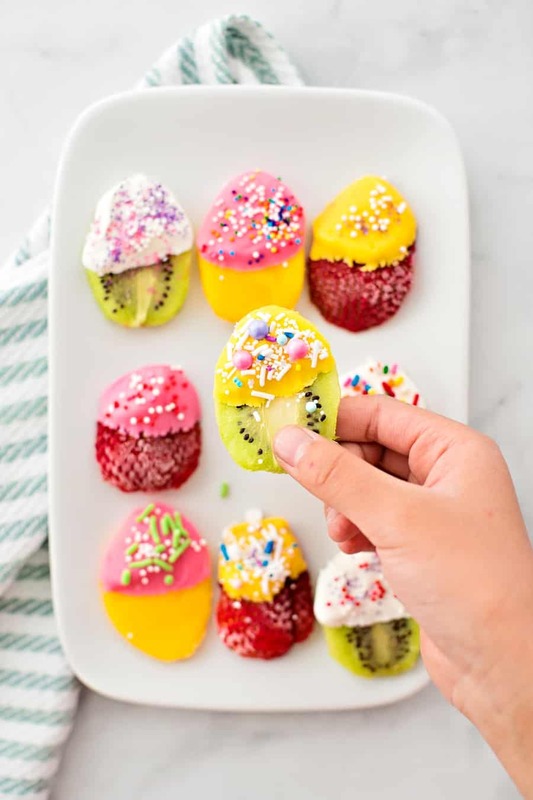 Remove your frozen fruit from freezer, dip halfway in candy melts, sprinkle immediately as the melts will harden once it reaches the cold fruit. 5. Keep in freezer or refrigerator to keep fruit fresh. 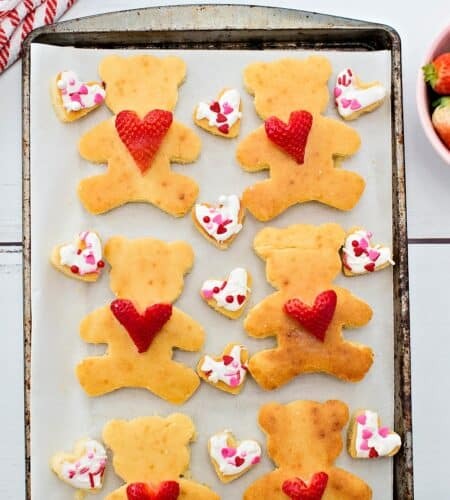 Note: you may use yogurt instead of candy melts. Tint if you'd like using food coloring and follow the same steps above except there is no need to melt.